Ralph has for the past forty years acted principally, but not exclusively, for doctors and dentists in times of professional difficulty. This has included defending civil claims for medical negligence and dealing with criminal cases, ranging from murder and manslaughter to allegations of indecent assault and fraud on the NHS. 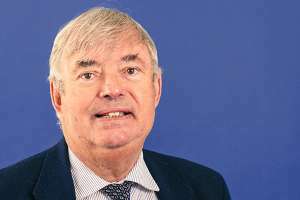 Ralph also has much experience of employment law as it affects the NHS, having taken a case from an industrial tribunal (as it then was) to the House of Lords (as it then was). Ralph has in recent years specialised in regulatory cases, regularly appearing before Fitness to Practice Panels of the General Medical Council and has acted for clinicians in many high profile cases including the Bristol Paediatric Cardiac Surgery Enquiry. Ralph has also acted for Pharmacists, Vets, and Social Workers before their respective Professional Disciplinary Bodies. Ralph has recently been appointed Legal Adviser to the Disciplinary Board of the Institution of Structural Engineers, and also Legal Adviser to the Statutory Committees of the General Pharmaceutical Council. Ralph trained as a solicitor in his home town of Cheltenham and qualified in 1973. He was a partner in the London firm of Radcliffes Le Brasseur prior to moving to the West Country and joining Star Legal.